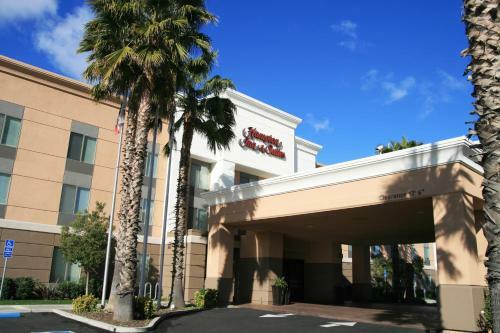 Offering convenient access to Interstate 5, this hotel is situated moments from Lathrop Business Park and provides friendly service as well as comfortable and modern accommodations. 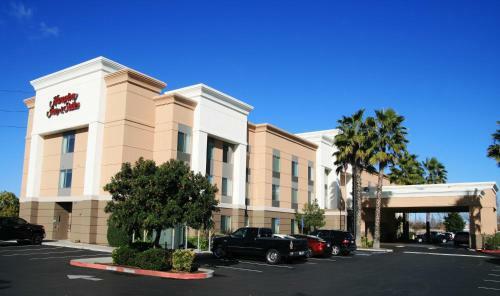 The Hampton Inn and Suites Lathrop are located only a short distance from a variety of major corporate offices including Daimler Chrysler, Del Monte and Mopar. The hotel is also minutes from Big League Dreams Ballpark. Guests at the Lathrop Hampton Inn and Suites are provided with many modern conveniences, including in-room microwaves and refrigerators. 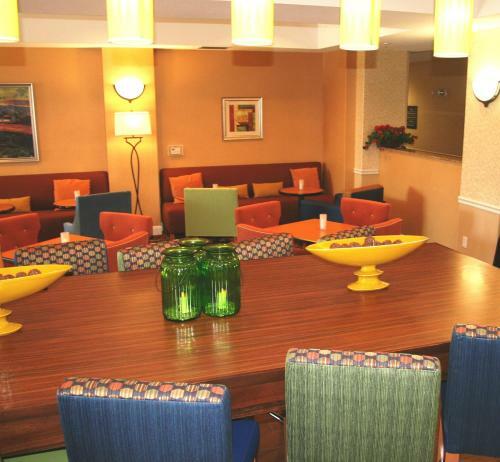 The hotel also offers a free hot breakfast buffet along with an evening snack reception. Please note: Pre-loaded credit cards are not an accepted form of payment. Please note: Valid government issued ID is required upon arrival. Guests are required to show a photo identification and credit card upon check-in. Please note that all Special Requests are subject to availability and additional charges may apply. 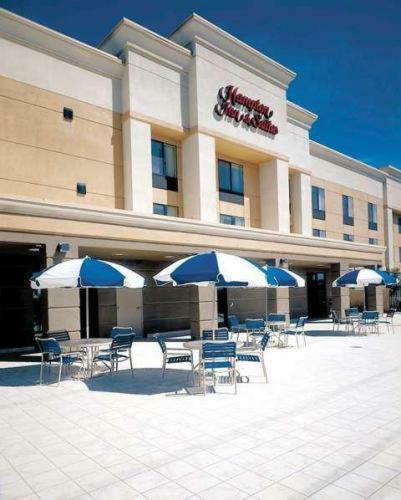 the hotel Hampton Inn & Suites Lathrop so we can give you detailed rates for the rooms in the desired period.